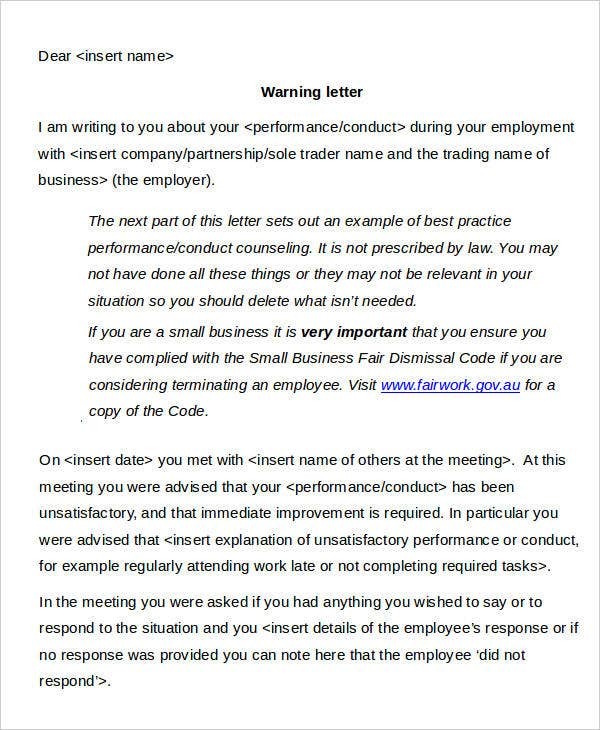 When your staff commit mistakes, it is generally wisest to use employee warning letters before trying anything else. This kind of measure is meant to help you give measured responses to any such offenses. After all, it would be disproportionate to have an extreme reaction to a relatively minor first offense. 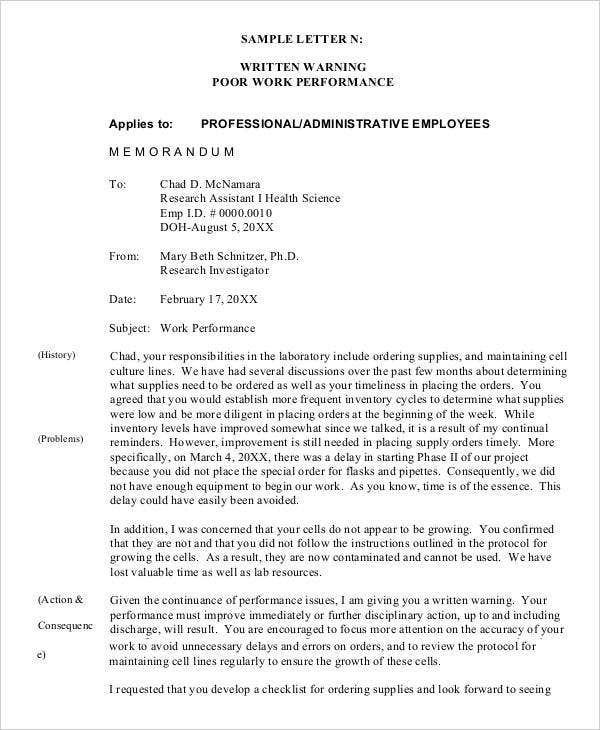 In that case, if you were to issue work warning letters when necessary, your employees should first commit an offense, and a fairly small one at that. Of course, this really would have to be a small offense, and it would have to be the first time, so that they at least have fair warning. 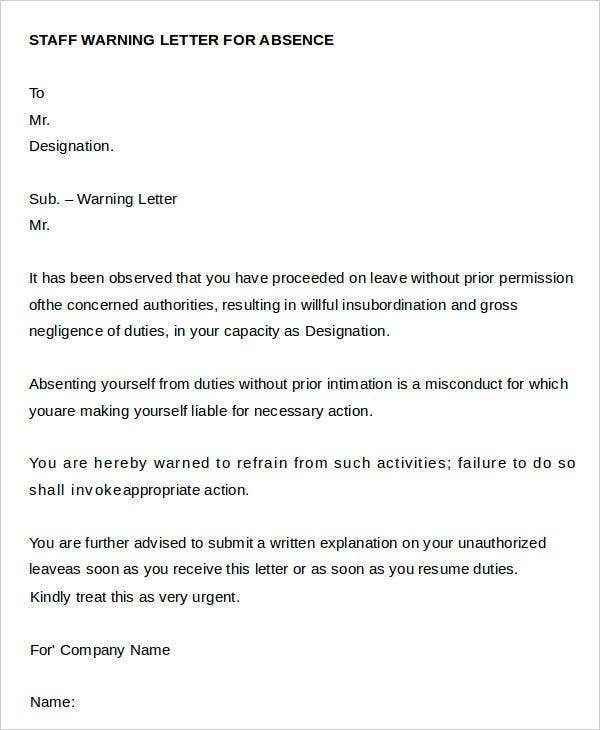 There are always some elements of an employee warning letter that you can expect to find. 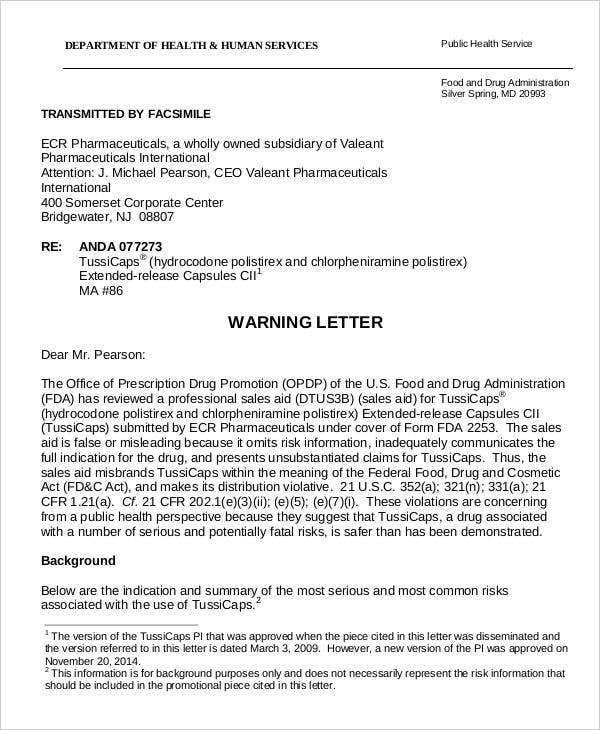 This can apply to most official warning letters in general, as these components are needed for them to do their jobs. 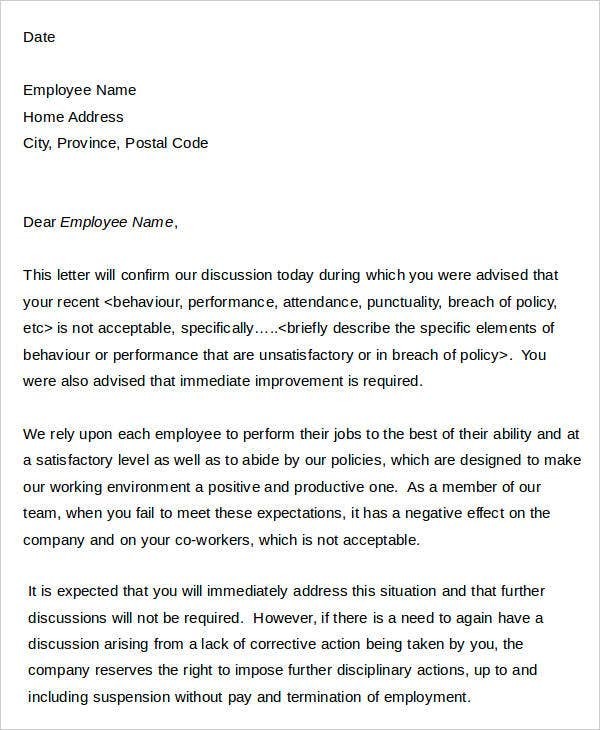 Employee’s name, which makes clear who committed the offense, and to whom the letter is addressed. Date, so that both parties have a clear idea of when the letter was sent. Nature of offense, so as to make clear the purpose of sending the letter, and to inform the recipient of what behavior needs to be amended. 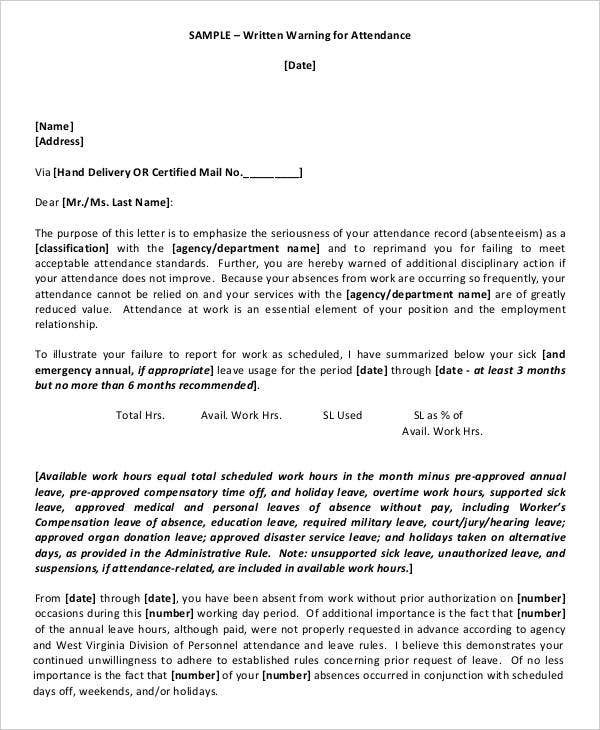 While you might tools like warning letter templates, there are still some steps that you would need to take when making your own, like attendance warning letters. To make the letter more official, you might want to add useful details to the letter’s header, such as recipient, sender, subject, date, etc. When writing, be sure to address the letter to the recipient properly so as to make more of an impression. Detail the precise nature of the recipient’s offense, and explain why this behavior causes problems. Also include a warning of the consequences of continued instances of this kind of behavior, such as dismissal. 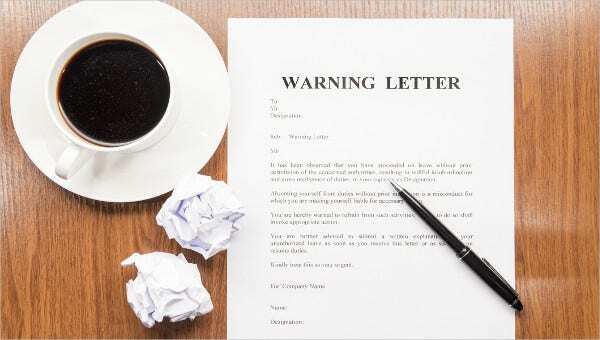 There are some tips that could make your use of warning letters like HR warning letters and late warning letters more effective. After all, these tips can help you keep in mind that there are some things that need to be addressed when making your letters. Be detailed. This means that you really should go into detail about the specifics of the recipient’s offense, both to provide a record, and to list exactly what he has done. Provide a history. This includes as complete a history of this behavior and what has been done to remedy it as possible. Be sure to explain, which means explaining how the employee’s offense affects more than his performance. The offense has farther-reaching consequences than just for the employee, so you should make that clear. Do not forget dates. This is for record-keeping purposes so that you have a record of when the offenses were committed and when steps were taken to address them. This also gives you a pattern of the offenses, for analysis purposes. And if need be, you may also feel free to download some other templates if you need other kinds for your work.